Between 12 and 18 months, baby can walk on his own. He's a toddler now! 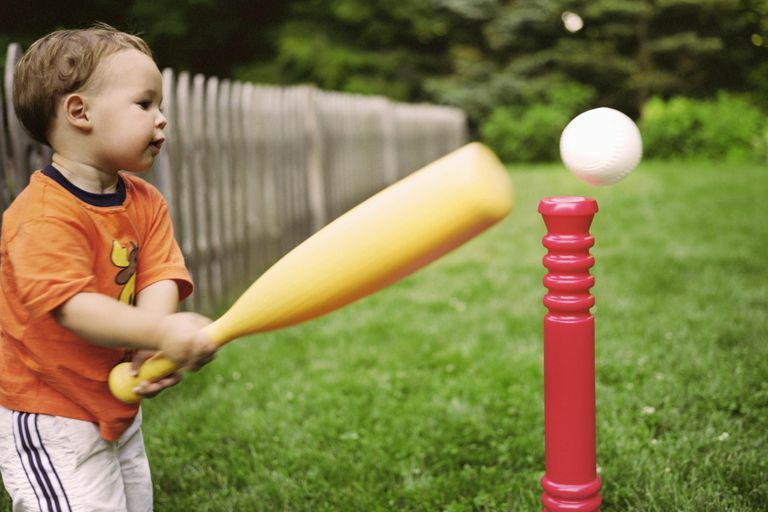 The best way to help your child develop large motor skills is through plenty of active play. Give him lots of time, space, and opportunities to use his muscles. Movement classes, like tumbling or dance, are fine, but free play is just as effective. There are tons of fun, skill-building activities, and toys you can share with your child. Even some arts and crafts projects can encourage physical fitness and development.